1) (Cambridgeshire). (Stretton, co. Gloucester). (Ireland). Per chev. ar. and gu. a crescent counterchanged a canton of the second. Crest—A dexter arm in armour couped and erect, holding in the hand a lance all ppr. 2) (Thringston, co. Leicester). 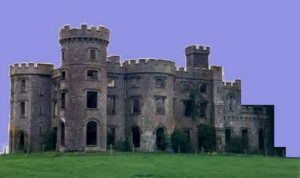 (Killua castle, co. Westmeath, bart.). Motto—Crescit sub pondere virtus. Same Arms. Crest—An arm embowed in armour, holding in the hand a broken lance bendwise, upon the point a wreath all ppr. 3) (Cambridgeshire). Per chev. ar. and gu. a crescent counterchanged, on a chief of the second a unicorn’s head couped betw. two leopards’ faces or. Crest—A falcon ar. beaked and legged gu. supporting a garb or. 4) (London). The same Arms. Crest—Out of a crescent per pale or and gu. an unicorn’s head also gu. maned, horned, and guttee of the first. 5) (Lincoln; granted 6 March. 1704). Per chev. ar. and az. a crescent betw. two leopards’ heads in pale counterchanged. Crest—A fleur-de-lis or, betw. two olive branches vert. 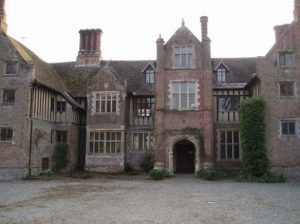 6) (Rainthorp Hall, co. Norfolk). Per chev. ar. and gu a crescent betw. two leopards’ faces in pale counterchanged, on a canton or, three trefoils of the second, all within a bordure gu. and gold, charged with bezants and torteaux. 7) (London). Vert five plates in saltire. 8) (London and Yorkshire). (Hanging Aston, co. Worcester). Per chev. ar. and gu. a crescent counterchanged. Crest—A buck’s head per chev. ar. and gu. 9) (Highbury Park, co. Middlesex). The same Arms. Crest—A dexter arm embowed in armour, holding in the hand ppr. a broken tilting spear also ppr. enfiled with a chaplet of laurel vert. 10) (Scotland). Vert a saltire engr. betw. four boars’ heads, erased ar. 11) (Scotland). Vert a saltire engr. and in chief a boar’s head erased ar. 12) (Yorkshire). The same Arms as of Cambridge, adding a bordure gu. 13) (Yorkshire). Per chev. ar. and gu. a cross counterchanged. 14) (Edward Chapman, of Resprin, co. Cornwall, grandson of Edward Chapman, of Hankford, co. Devon, was living at Visit. 1620). Per chev. ar. and gu. a crescent counterchanged. Crest—An arm embowed, habited in mail ppr. cuffed ar. holding in the hand ppr. a broken tilting spear or, enfiled with a chaplet vert. 15) Vert a saltire engr. betw. four sangliers’ heads erased ar. 16) Per chev. ar. and gu. in chief three leopards’ faces of the second, in base a crescent or. 17) Per chev. ar. and gu. a crescent betw. three leopards’ faces counterchanged. 18) Per chev. ar. and gu. in chief three demi lions of the second, in base a crescent of the first. 19) Per chev. ar. and gu. in chief a leopard’s face of the second; on a canton or, three trefoils slipped per pale gu. and az. all within a bordure gobonated ar. and az. 20) (Whitby, co. York, Woodford, co. Essex, and London). Per chev. erm. and gu. a crescent counterchanged in chief three annulets of the second. Crest—Two spears’ heads in saltire in front of a dexter arm embowed in armour the hand gauntletted and grasping a broken tilting spear all ppr. enfiled with an annulet or. Motto—Crescit sub pondere virtus. 21) Per chev. gu. and ar. three leopards’ faces counterchanged within a bordure of the second on a canton or, three trefoils slipped gu. 22) Per fesse ar. and gu. a mascle counterchanged. 23) The same Arms. Crest—A buck’s head cabossed sa. attired or, betw. the attires two arrows in saltire gold, feathered ar. 24) (granted, in 1573, to John Chapman, of London). Per chev. ar. and gu. in chief three leopards’ faces of the second and in base a crescent or. Crest—An heraldic antelope’s head erased sa. horned, armed, and maned or, pierced in the neck with an arrow gold headed ar. embrued gu. 25) (Sir John Chapman, of West Hampnett, Sussex, 1634). Per chev. gu. and ar. a crescent counterchanged, a canton erm. 26) (Frewen Hall, co. Oxford, and Hill End, co. Chester; John Chapman, Esq. of Hill End, co. Chester, and Carlecotes, co. York, M.P., m. Anne, dau. 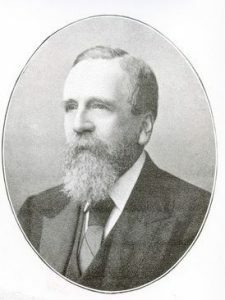 of George Sidebottom, Esq., of Hill End, and d. 1877, when he was s. by his eldest son, Edward Chapman, Esq., of Frewen Hall and Hill End, Lord of the Manor of Hattersley, J.P., M.A.). Per chev. or. and az. a crescent betw. three mullets pierced, all counterchanged. Crest—A stag’s head erased sa. attired and semee of crescents or. Motto—Crescit sub pondere virtus. This name is an occupational surname deriving from “the chapman”, a store owner and seller of goods or a merchant or trader in medieval times. Some early chapmen were stationary, and traveling chapman sold lower quality goods (today known as a peddler or hawker). It derives from the Old English word ceapmann, which consists of ceap (barter/price/bargain) and mann (man/person). It ultimately derives from the older Saxon word ceapan or cypan, meaning to buy or sell. Another source (English Surnames by Mark Antony Lower) states it derives from the word chepe, meaning a market. The family first had roots in Cambridgeshire (a county in western England). This name is the cognate (common linguist origins) of the German Kaufmann. In Old High German, the word was choufman or koufman. It should also be noted that in the Middle Ages a Chapmen or Chapman was a person who sold pamplets that were distributed to a wide audience known as chapbooks. The occupational title Cypemen was recorded as early as 890 AD. Common spelling variants or names with similar etymologies include Chipman (West Saxon), Chappman, Cheppman, Chepman, Cepeman, Cypman, Chepmon, Shapman, Caepmon, Le Chapman, Schapman, Copeman/Coopman (Flemish), and Kaufman (Austrian or German). The last name ranks Chapman ranks 214th in popularity in terms in the United Status as of the 2000 Census. The name ranks particularly high in the six following states: West Virginia, South Carolina, Georgia, Iowa, Maine, and Michigan. In England, the name is even more common: it ranks 80th in popularity. 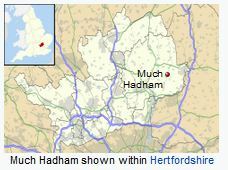 It ranks highest in the five following counties: Cambridgeshire, Huntingdonshire, Hertfordshire, Kent, and Northampton. The name is common throughout the English speaking world: Scotland (296), Wales (137), Ireland (1,163), Canada (277), New Zealand (126), Australia (87), and South Africa (774). The 1890 book Homes of Family Names by H.B. Guppy states “This common surname, if we except its curious resuscitation in Cornwall, is essentially an east of England name. From Kent to the North Riding the descendants of the ancient travelling merchants, or “cheap-men ” (Anglo-Saxon Ce’apman) occur in singularly constant numbers. Their preference for the coast counties would seem to show that their travels were sometimes on the seas ; yet it would also appear that the attractions of the great metropolis brought them together in numbers in the south-eastern counties. Kent stands foremost as their present abode”. The earliest known bearer of this last name in Britain was Hugh Chapman in 1204 AD in Yorkshire who was documented in the Curia Rolls, followed shortly after by Alice Chepman in 1207 AD as documented in the Pipe Rolls. The Assize Rolls list one Nicholas le Chipman in Staffordshire in 1266 AD. The Hundred Rolls of 1273 AD, a census of Wales and England, known in Latin as Rotuli Hundredorum, documents three people bearing this surname: Thomas le Chapman in county Leicestershire and Grante le Chapman in county Devonshire. The Writs of Parliament record one Geoffrey le Chapman around 1300 AD. William le Chepman in county Somerset in Kirby’s Quest during the reign of King Edward III of England (1327-1377). 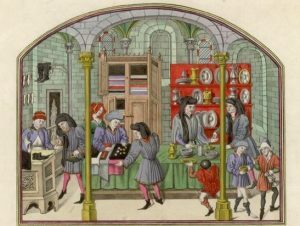 The Poll Tax of Yorkshire in 1379 AD documents threebearers: Agnes Chapman, Henricus Schapman, and Robertus Wulchapman. A one Alard le Chapman was documented in the Excerpta e Rotulius Finium in Turri Londinensi. An early baptism involving this last name was Robert Chapmanne at St. Peter Cornhill in London, England in 1541. The famous genealogist Bernard Burke’s book “The Landed Gentry” discusses two branches of this family: Chapman of Whitby and Chapman of Hill End. The first branch, of Whitby, begins with a discussion of Thomas Chapman, Esquire of Whitby in county Yorkshire who was Justice of the Peace and Deputy Lieutenant, who was born in 1798. In March of 1825, he married Maria Louisa, daughter of John Hanson of The Rookery, Woodford, and Great Bromley Hall in Essex. He had one issue with her: Ethel Maria (who married Eugene Fred Noel). Burke traces the lineage back to a family that resides at Whitby and Yburn Dale before the 14th century AD, who are documented in the rolls and registers of Whitby Abbey. A one Abel Chapman was born in 1694 (son of William Chapman and his wife Mary, and grandson of Sir William Temple). In 1720, he married Susannah, daughter of George Lotherington, with whom he had two daughters: Elizabeth and Mary. He secondly married Elizabeth, daughter of John Walker, and had issue with her. They had a family crest blazoned as follows: Per chevron ermine and gules, a crescent counterchanged in chief and three annulets of the second, with a crest that was two spear heads in saltier in front of a dexter arm embowed in armour the hand gauntlerred and grasping a broken tilting spear proper engiled with an annulet or. The second branch, of Hill End, begins with a mention of Edward Chapman, Esq. of Hill End Mottram in Longendale county Chester who was a Justice of the Peace and F.L.S. who was born in 1839. In 1863, he married Elizabeth Beardoe, daughter of Frederick Grundy, Esq. of Mottram. 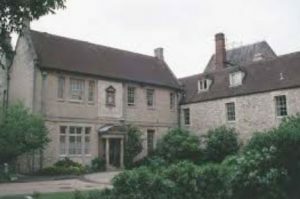 He attended Meron College Oxford and served as a Magistrate for counties Chester and Lancaster, as well as a Director of the Mancehster, Sheffiled, and Lincolnshire Railway, and Lord of the manor Hattersely. Burke traces the lineage back to John Chapman of Shrigley Ford, Cheshire who, in 1806, married Mary Sidebottom and had a son with her named John. The son John was a Member of Parliament from Hill End and Carlecotes, Yorkshire. In 1836, he married Anne, daughter of George Sidebottom, and died in 1877 leaving four children: Edward (mentioned above), George John, Charles (married Nannie Catherine), and Alice. This family bore the following coat of arms with the following blazon: Per chevron or and azure, a crescent between three mullets of six points pierced, counterchanged. Robert Chapman was born in 1530 in Beverley, Yorkshire. He had a son named Robert who was born in 1570 in the same town. He married Elizabeth Williamson and had a son with her: Robert III. Robert III was born in 1591 in On Hull, England. He married a woman named Rebecca and later Mary Acklow and left behind four children (two sons named Edward and two daughters whose names are not known). His son Edward was born in 1617 in Hull, Yorkshire and married three times (Mary Acklow, Dorothy Swan, and Mary Symonds). He left behind the following issue: Symon, Mary, Edward, Nathaniel, William, Robert, Samuel, and John. Symon was born in 1643 in Rowley MA. He married Mary Brewer and had two children with her: John and Joseph. His son John was born in 1671 in the same town. He married Mercy Wentworth and had a son with her named Moses. Moses was born in 1711. He had a son named Uriah Chapman who was born in 1733 in Norwich, Connecticut. He married Sibel Cook and had two issue: Sybil (married Abel Kimble in 1779) and Simeon. Simeno was born in 1764 and he married Lura Bingham. They had a daughter named Terea Amelia (Blankenship). He died in 1854 in Crawford, Missouri. The book Genealogical Guide to the Early Settlers, mentions eight people bearing this surname: 1) Edward Chapman of Windsor, Connecticut who married Elizabeth Fox and had issue with her: Henry (1663), Mary (1655) Elizabeth (1668), Simon (1669), Hannah (1671), Margaret (1673), and Sarah (1675) who was killed in the great Narragansett fight (also known as the Great Swamp Fight, a battle in King Philip’s war that saw the colonial militia face off against the Narragansett Indian tribe), 2) Edward Chapman of Ipswich who came in 1642 and who married Mary, daughter of Mark Symonds and had issue with her: Symonds, Nathaniel, Mary, Samuel, and John, 3) Ralph Chapman of Marshfield Massachusetts who came aboard the Elizabeth in 1635 from London at the age of 20. He was from Southwark in county Surry and first settled in Duxbury, MA. He married Lydia Wills or Willis in 1642 and had issue with her: Mary (1643), Sarah (1645), Isaac (1647), Lydia (1649), and Ralph (1654), 4) Richard Chapman of Braintree, MA who married a woman named married and had the following children: Susan (1640), Hope (1665), and Richard (who was killed by Indians). He also married a woman named Joan and had a son named Richard, 5) Robert Chapman of Saybrook, CT who married Anne, daughter of Thomas Bliss, in April of 1642 and had the following issue with her prior to his 1687 death at the age of 70: John (1644), Robert (1646), Ann (1648), Hannah (1650), Nathaniel (1653), Mary (1655), and Sarah (1657). He was a Captain and a representative to the General Court in 1652, 6) Thomas Chapman of Charlestown, MA who was a soldier in Turner’s company in 1676. He married a woman named Sarah and had children Sara, Elizabeth, Mercy, and Thomas, 7) William Chapman of New London, CT who came in 1656 and was a freeman in 1669. He died in 1699 and left children: John, William, Samuel, Jeremiah, Joseph, Sarah, and Rebecca, and 8) John Chapman who was imprisoned while visiting London and brought to America. When the ship reached the harbor in Boston, he escaped by jumping overboard and made his way to Wakefield, Rhode Island where he was taken in my Samuel Alden. He later moved to North Stoninngton, CT and died in 1760. He left behind a son named Thomas who was born in 1721 and settled in Bolton in Tolland County, CT.
Richard and George Chapman went to the Barbados aboard the Peter Bonaventure in 1635. Walter Chapman came to Virginia aboard the Assurance in July of 1635. Henry Chapman came to Virginia aboard the Primrose in 1635. Thomas Chapman came to Virginia from London aboard the Globe in 1635. Joseph Chapman came in the Expedition to Barbados in 1635. A one Nicholas Chapman (came in 1619 in the Jonathan) was recorded as living in Virginia (“Att ye Colledge Land”) in February 1623, as were several others bearing this last name, such as Frances (came in 1608 aboard the Starr) and Phillip. Thomas Chapman arrived in the Tryall in 1610. A Francis Chapman lived in “the territory of Tappahanna ouer against James Cittie”. A one Mary Chapman (one child and five slaves) was documented in St. Michael’s Barbados in 1680. 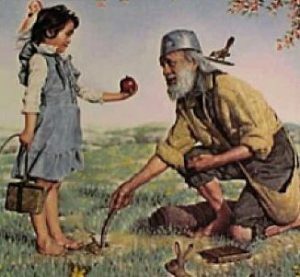 Other settlers in early colonial America bearing the Chapman surname include Mary (1701 Virginia), Anne and Charles Jr. (1702 Virginia), Benjamin and Thomas (1716 Virginia), and William T. (Connecticut 1812). Some of the earliest Chapmans in Canada were Jason (Nova Scotia 1749) and Gideon (Nova Scotia 1750). Robert Chapman of Saybrook, mentioned earlier in this section, had a coat of arms or “family crest” with the following blazon: Per chevron argent and gules, a crescent counterchanged with a crest that is an arm embowed in armour holding a broken spear encircled with a wreath proper. We have 26 coats of arms for the Oakes surname depicted here. These five blazons are from Bernard Burke’s book The General Armory of England, Ireland, and Scotland, which was published in 1848. The bottom of this page contains the blazons, and in many instances contains some historical, geographical, and genealogical about where coat of arms was found and who bore it. Later grantees of arms bearing this last name include: 1) Alexander Chapman of Bourdon (Borden), Kent, coat and crest 38 Hy VIIII, 1546 (Barker’s Grants), 2) Henry Chapman of Bowerth, or Bavereh in county Cambridgeshire, 3) James Chapman, who moved to Spain, son of Alexander and successor and heir of John) 1616, and 4) John Chapman of London, grant 1 May 1573. Famous people with this last name include: 1) Andy Chapman (1959) who was a English born soccer player who also played in America (notably the Detroit Rockers), 2) John Arthur Chapman (1905-1962) who was a Canadian hockey player, 3) Alvan Wenworth Chapman (1809-1899) who was an American doctor and botanist who pioneered the study of flora in the American southeast, 4) John Chapman (1774-1845), better known in American folklore as “Johnny Appleseed” who was an American pioneer known for his missionary work and planting of nurseries, 5) John Jay Chapman (1862-1933) who was an America author, essayist, and literary critic, and 6) Mark David Chapman, the man who murdered John Lennon of The Beatles.